Welcome to Michael DeBaser real estate agents advocates for investors and residential home buyers. Over the past few years, thousands of Australians have opted to minimise the stresses and demands associated with the purchase of homes, in favour of hiring experts to take care of the hard work for them. These experts are property buyers agents and it is their job to take care of the entire home buying process from start to finish – all to benefit those hoping to purchase a house. But what is it that they do exactly, and why are they so beneficial to the real estate industry? If there’s one aspect of home buying that potential new owners look forward to most – it is viewing properties. If you are buying property in Sydney his can be an exciting time for anyone, but looking around at completely mismatched potential homes isn’t an ideal situation. That’s where buyers agents come into the fray, and it’s their job to first source possible homes that match their clients’ preferences, before negotiating the fairest price to help with the transaction. It’s not just the initial offer that agents deal with either – it’s also down to them to address any paperwork required and then ensure that all parties involved are kept up to date as the transaction progresses. During this time, the sellers will be presented with a valuation of their property, as well as any causes for concern that may play a role on the final cost of the home. The buyers will have the option to review the unique factors and decide on how they’d like to progress. 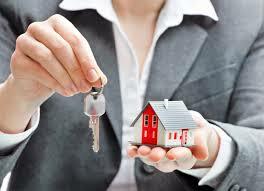 If they’d like to purchase the property, then an initial offer will be put forward on behalf of the buyers. The seller will be able to deal with the agents directly and let them know whether or not the offer has been accepted. If it is, then the agents will move on to the next process. There may even be times where a buyer would prefer to keep their purchase confidential and a good buyers advocate can help with that, too. They can arrange for the property to be purchased on behalf of the buyer, including all formal documentation signings. Ownership can then be allocated to the original buyer – and all that they will have to do is give the go ahead on whether or not they’d like to put in an offer. There’s also the concept of finalising documents to address acquisition and ownership. These documents can take a long time to be processed, not to mention requiring all sorts of checks relating to the property being purchased. Having to undergo these extensive processes can be time consuming and confusing in equal measure and so calling upon the services of an expert in the field can ensure that all hard work is taken care of with minimal fuss. For all your property purchase needs please feel free to Contact Us.